In this edition of “Behind the Scenes” we meet Veronica Polo, Co-founder of ACT OUT Madrid, which offers wonderful theatre classes in English in Madrid. I was always into everything related to theatre arts: acting, singing, dancing… In my younger days, I was always involved in Choir and Acting classes. In high school I started acting in the plays and musicals and then went on to get a Degree in Acting from Sam Houston State University, graduating with a Bachelor of Fine Arts in Acting and Directing. After University I was cast in a play in STAGES REPERTORY THEATRE in Houston and then went on to tour “Taming of The Shrew”. The next year I moved back to Madrid to open up more opportunities on the “other side of the pond”. I was cast in the FACE2FACE Theatre Company where I got to perform several musicals in the Alcazar Theatre here in Madrid. A few years later I was cast in my first TV role in the Disney series “The Avatars” and then the next year in my first movie role in “Wild Oats” alongside Shirley Mclain and Demi Moore. I currently work in theatre, musicals, tv and film. However, my first love will always be the stage. Alongside my acting career, I run ACT OUT Theatre Workshops with Anthony Rotsa. * What is your business? Act Out is an English theatre workshop company for children ages 4 to 12. In our workshops, we play theatre games based on improvisation, teamwork, concentration, music, and dance so that children can learn and also have fun. Our main objective is to improve children’s confidence when speaking English, to improve their concentration and show them what they are capable of achieving. At the end of each semester, the children perform an original musical in English so their parents and friends can come and see for themselves how much their children have learned. In Act Out we believe that theatre is a wonderful educational tool when it comes to helping children with confidence and self-esteem. In a spontaneous and enjoyable manner, theatre connects children with the world of the Arts. Theatre also welcomes self-reflection and expression by enabling children to laugh, cry and experience the different emotions that life has to offer. At the same time, theatre allows children to think, participate and enjoy the world around them. Our areas of focus are interpersonal communication skills and individual expression. At Act Out, children learn to overcome shyness and improve their concentration. All workshops are in English thus giving children the opportunity to practice and further their knowledge of the language in an atmosphere full of fun activities and games. We invite your children to come in and Act Out! * How did you get started? or How did the idea for your business come about? The original idea came from Anthony, who had a lot of previous experience working in theatre workshops in London, and wanted to do the same here in Madrid. Anthony is also an actor, and like myself had the “theatre bug” as a young child. However, both of us as kids were also very shy. Theatre helped us to really come out of our shells and overcome our shyness. We both thought that through theatre children here in Spain could not only learn a language in a new and fun way but also work on so many other skills that theatre provides. Through theatre workshops, children become well-rounded young adults, helping them develop social skills, concentration, coordination, teamwork and above all, confidence in speaking in front of their peers. * Who are your typical customers? The majority of our customers are families who sign up their children so they can improve their English in a fun and dynamic way. We also have a lot of customers who sign up their children because they want them to overcome their shyness. * Why should people choose ACT OUT? In ACT OUT, children will discover English in a fun and exciting way. Unfortunately, we have met a lot of children in Spain that do not like English due to a bad experience at their school or because of movies and kids programs that are mostly dubbed in Spanish they don’t feel very comfortable in the language. Whatever the reason is, in ACT OUT we will make your child shine and give them a positive feeling of English, theatre and above all, about themselves. If you’d like to find out more about ACT OUT’s classes click here. 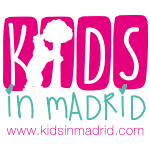 For more information about other activities for children in Madrid, check out our Activities section. Demand is so great that Act Out is introducing more theatre workshops!